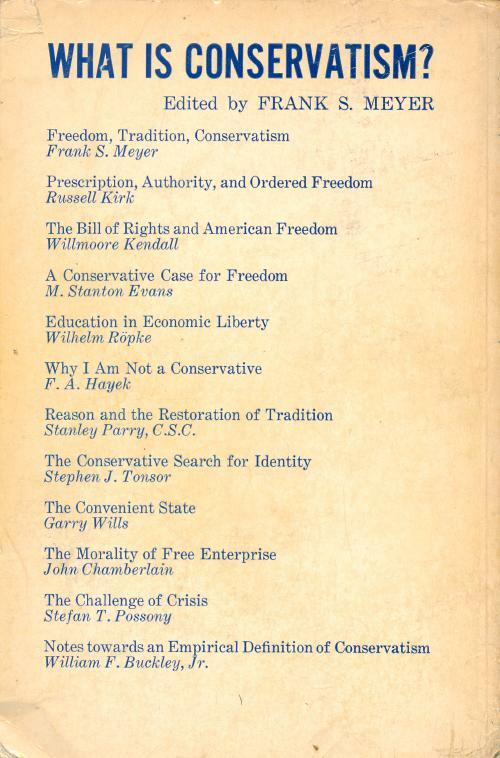 These debates in the pages of National Review were my introduction to political theory, led me to books providing a more in depth understanding, and finally to a subject that has occupied much of both my formal education and subsequent reading. The book What Is Conservatism? 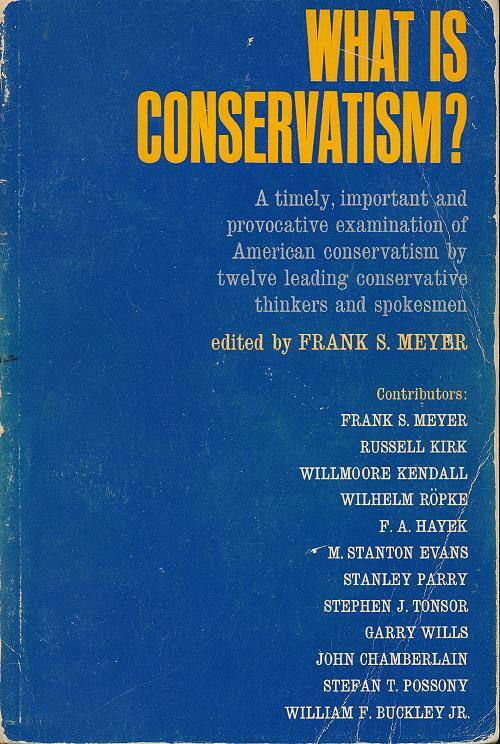 edited by Frank S. Meyer, collecting some of the essays, was published in 1964. I bought it second-hand a few years later.